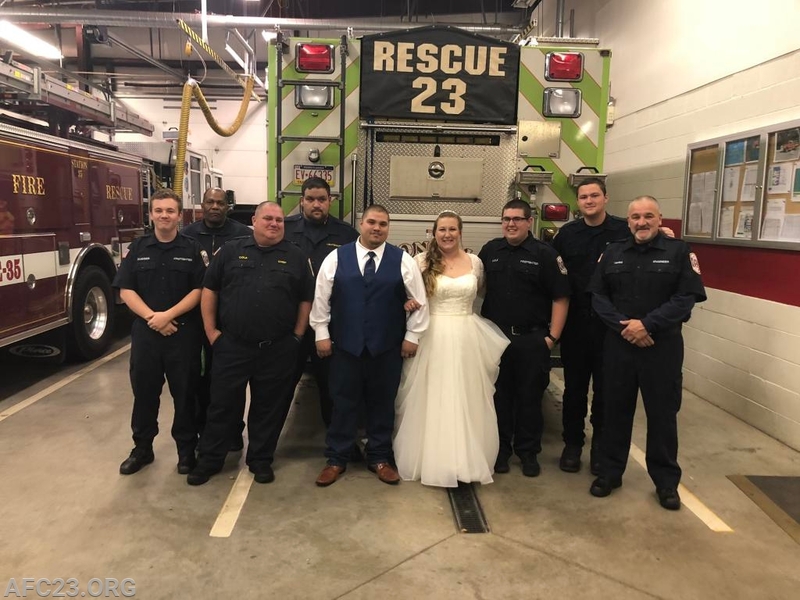 On Saturday, October 27th, the Chief and Rescue left Avondale at noon and headed to the Wagontown Fire Company (Sta.35) to cover their district while their members attended Lieutenant Ziegler's wedding. While on stand-by, we handled an accident on Manor Road. Chief 23 arrived and found an SUV in a ditch that was blocking one lane of traffic. Rescue 23 and TAC 35 arrived, handled the hazards and awaited Flings Towing. Squad 35, Traffic 35, and Traffic 44 closed Manor Road during the incident. Ambulance 144 was released after determining there were no injuries. The members and officers congratulate the newly married couple. 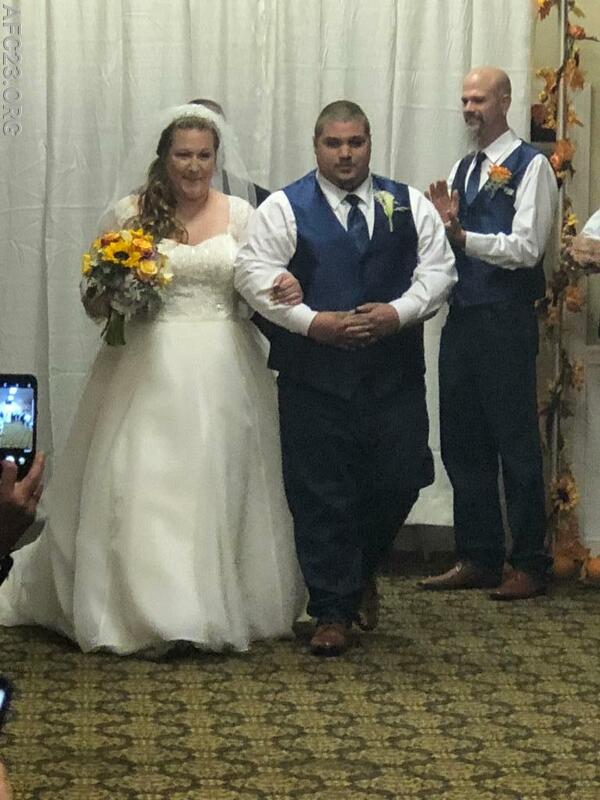 The Rescue crew thanks the Ziegler family for allowing us to be a part of their special day and Chief 35 for allowing us to cover their district. Mutual Aid: TAC & Traffic 35, Traffic 44, and Ambulance 144. Rescue crew and the happy couple. Chief 23 arrives to find the SUV in a ditch.